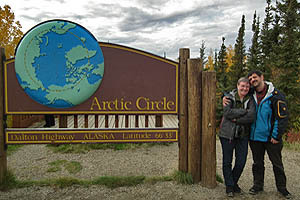 You will also travel the world famous Dalton Highway of ‘Ice Road Truckers’ fame, cross the Arctic Circle, stay in heart of the Brooks Range in a quaint Alaskan Bush village, see arctic wildlife such as muskoxen and caribou, explore one of Alaska’s most captivating landscapes, visit an Eskimo village,, relax in natural hot springs, go dog mushing and much more. 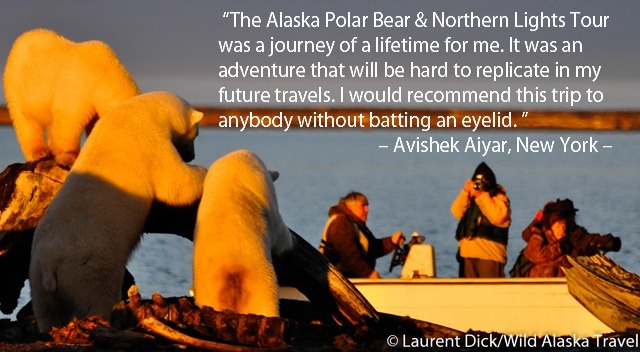 For October 2019 Polar Bear tours, please consider our Alaska Polar Bear Viewing & Photo Tour. Photograph the amazing northern lights. 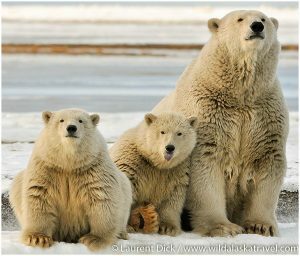 See polar bears in the wild! 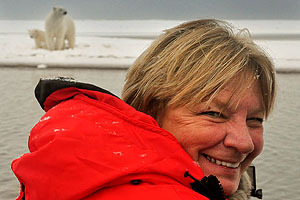 View and photograph polar bears from a boat in Kaktovik. Relax at Chena Hot Springs. 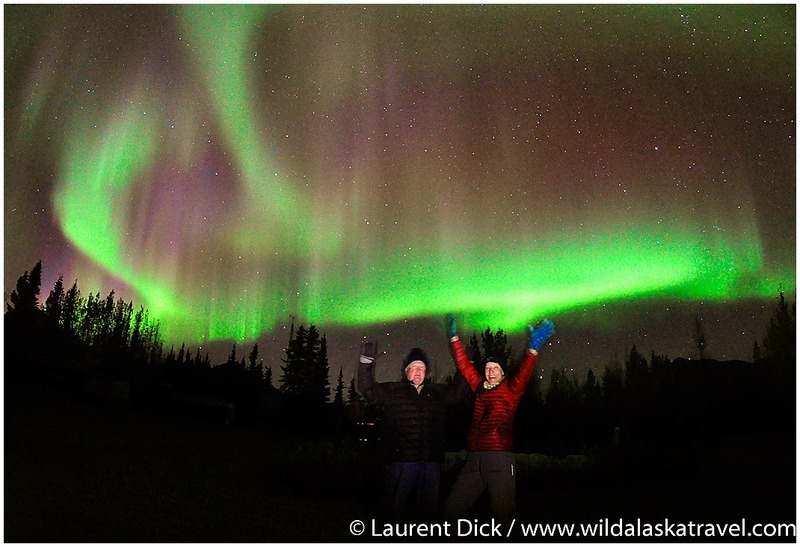 Northern lights dance over A Taste of Alaska Lodge. Welcome to Fairbanks, Alaska’s second-largest city. You will arrive on your schedule flight, be picked up at the airport and transferred to our local hotel. 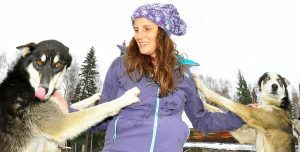 You will share our Welcome Dinner in the evening in downtown Fairbanks. 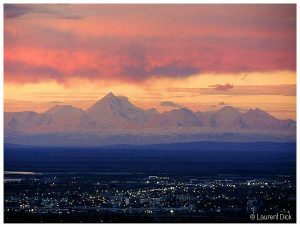 Fairbanks is called “The Golden Heart of Alaska,” a reference to the character of her people as much as to the location in Alaska’s interior, or to the discovery of gold in 1902. 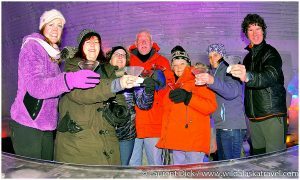 Its central location makes it the focal point for the tiny villages scattered throughout the surrounding wilderness, and Fairbanks is a staging point for North Slope villages such as Barrow and the oil fields of Prudhoe Bay. Yet, unlike Anchorage, it still retains its down home “frontier” feel. It is contained within the North Star Borough, similar to a county, but roughly the size of New Jersey! 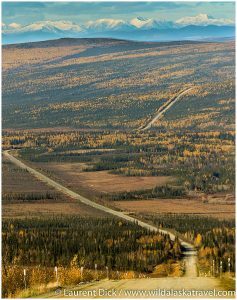 You head north along the James Dalton Highway, a 414 mile road connecting Deadhorse to the Elliot Highway near the town of Livengood, located approximately 80 miles north of Fairbanks. Made famous by the recent Ice Road Trucker series, it’s considered by many to be one of North America’s most scenic and beautiful wilderness roads. Also known as the Haul Road, the Dalton Highway is critical to the delivery of material, equipment and supplies to the Prudhoe Bay oil fields. You will travel through the boreal forest and north of the Yukon River you will reach a milestone on our trip: the iconic Arctic Circle, an invisible line at the elegant latitude of 66º33′. North of the Arctic Circle is the land of the midnight sun, where the sun never sets during the summer. 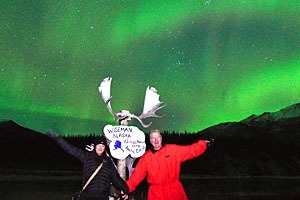 Soon after crossing the Arctic Circle you will reach the foothills of the Brooks Range, and a couple hours later you will arrive at our oasis in the wilderness in Wiseman, population 13, a historic gold mining community town located in the heart of the Brooks Range. 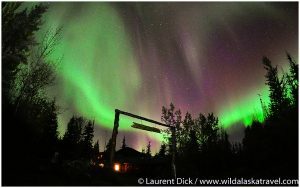 During our nights in Wiseman we will keep a watchful eye for the northern lights. Wiseman is located closed to what scientists describe as the ‘maximum zone close to 67 degrees north’. 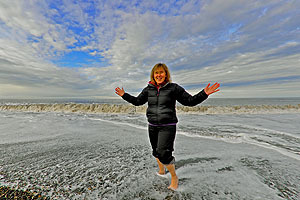 This makes Wiseman one of the best places in Alaska (and in North America!) 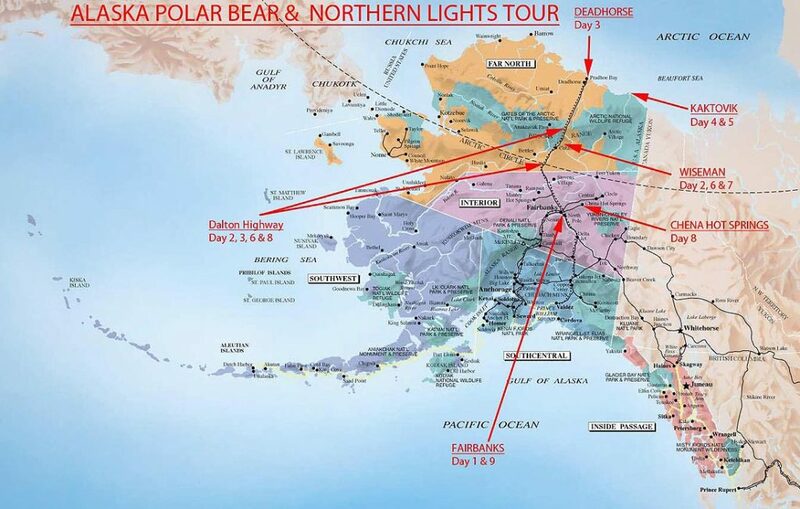 where you can see the northern lights most often and with greatest intensity. You will explore the surroundings of Wiseman today. Located on the middle fork of the Koyukuk River, much of Wiseman’s colorful gold rush history is preserved in its buildings. You will go for a hike in the alpine tundra near Atigun Pass (4643 ft.), the only pass in the Brooks Range that is crossed by a road. Atigun Pass also is the northernmost pass in the world that is kept open year-round and the highest year-round pass in Alaska. 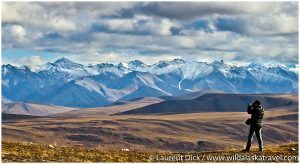 This area is one of the best for hiking along the Dalton Highway and a great place to look for Grizzly Bears, Moose and Dall Sheep. 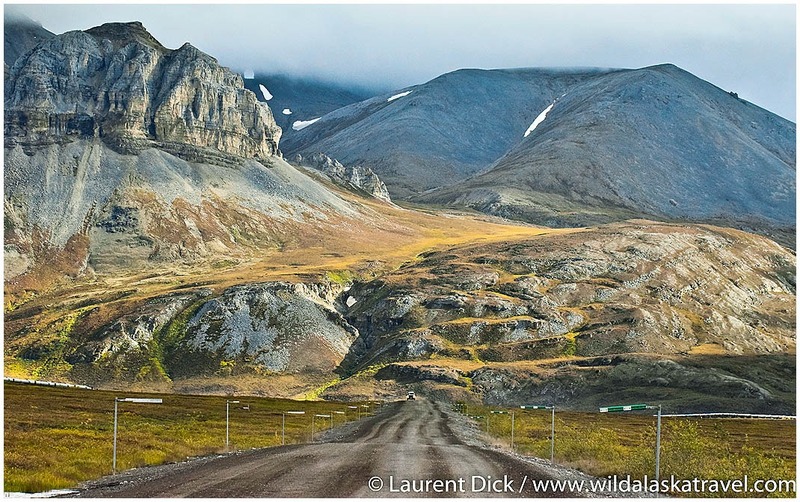 Beyond towering Atigun Pass, the Arctic Slope extends 170 miles, first through rolling tundra foothills, then over the broad, lake-dotted flatlands of the vast Coastal Plain that extends to the Arctic Ocean. 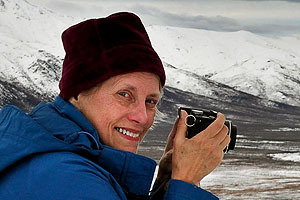 We will keep our eyes peeled for Dall Sheep in the mountains and Caribou and Muskoxen on the North Slope. You will spend the night in Deadhorse. 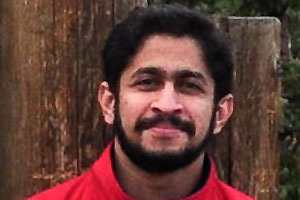 The town consists mainly of facilities for the workers and companies that operate at the nearby Prudhoe Bay oil fields. 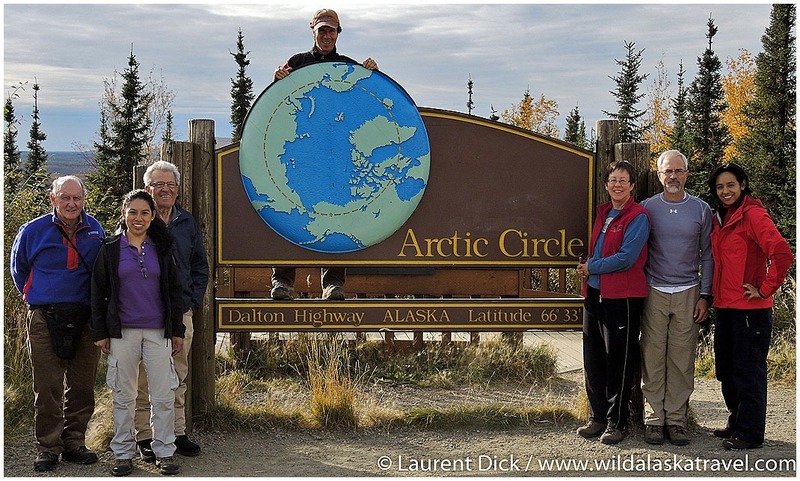 You will spend the morning exploring Deadhorse and head back out along the Dalton Highway if weather permits. Around noon you will board a scheduled flight to Kaktovik. This flight will give you an incredible aerial impression of Alaska’s Arctic. 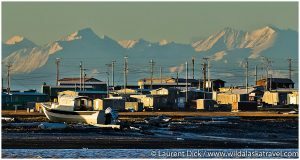 The small Inupiaq Eskimo village of Kaktovik is located on Barter Island, population around 280. 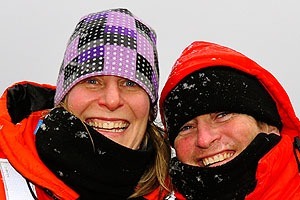 You are now only about 60 miles from the Canadian border, but still 1,400 miles from the North Pole! 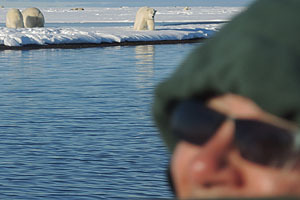 During a tour of the village, you will catch our first glimpse of Alaska Polar Bears at a place called the ‘bone pile’. 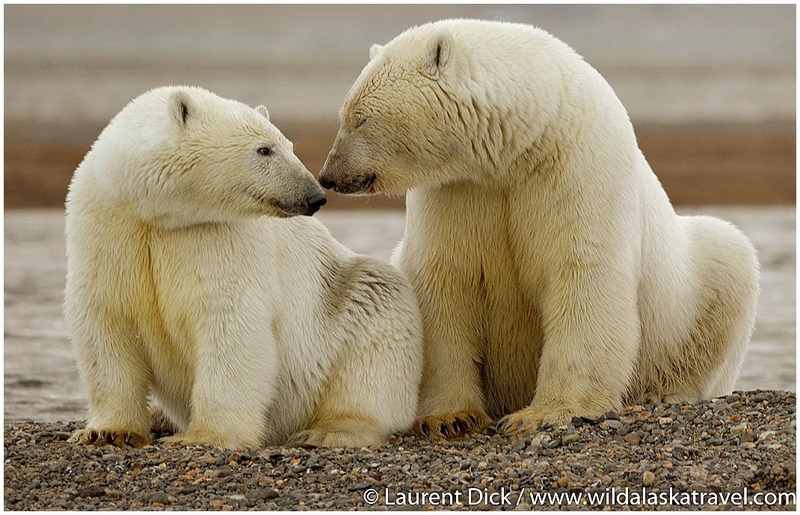 Polar bears have historically used the barrier islands and sand spits around Barter Island as a resting place, a feeding place and a stopover until winter sea ice forms. 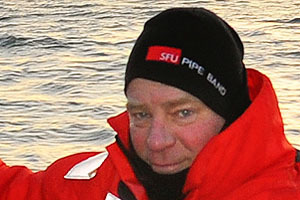 However, the possibility of seeing large numbers of bears in one place can be linked to the local whaling. The greatest numbers of bears loafing in the area are typically found in September and October, just prior, during and after the time Kaktovik residents hunt bowhead whales. The Polar Bears feed on unused portions of whale carcasses that are deposited at a “bone pile” a few kilometers from the village during Kaktovik’s subsistence whale harvest season in September and October. 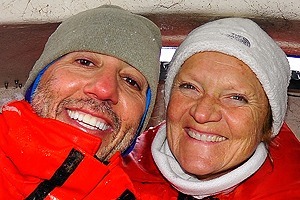 The sea ice generally forms soonest again near Barter Island, which explains the bears’ presence in the area. 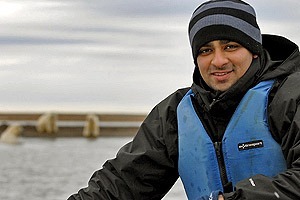 Your Inupiaq guide, who is US Coast Guard licensed and vetted by the US Fish & Wildlife Service, will safely guide you by boat and on shore all day along the barrier reefs for rare Polar Bear encounters. Viewing Polar Bears in the wild is probably one of the most unique experiences in the world. 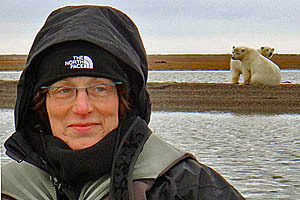 Certainly the Polar Bears take center stage, but there are opportunities to see other wildlife. Wherever Polar Bears roam, it is highly likely that arctic fox will follow. The arctic tundra itself—stark and barren as it may at first appear—can be truly breathtaking under an ever-changing Arctic sky. There are very few places on Earth allows this kind of intense Arctic experience. 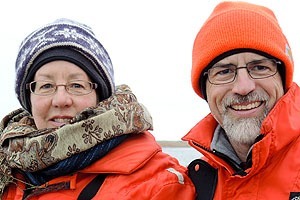 You will have all morning to explore Kaktovik and return once more to see the Polar Bears. 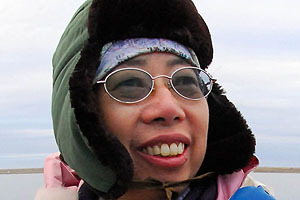 By mid-day, you will fly back to Prudhoe Bay on a scheduled flight. You will then slowly work your way back across the Coastal Plain towards the Brooks Range. The snowline will have been creeping down to lower elevations, and it is not unlikely to have snow on the ground at the end of September, which will add another dimension to the already stark landscape. After crossing over Atiugn Pass, you will reach treeline again. Your accommodation in Wiseman will be a welcome sight to relax in. 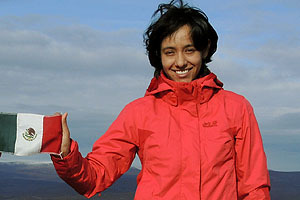 You will keep your eyes peeled again at night for aurora activity. 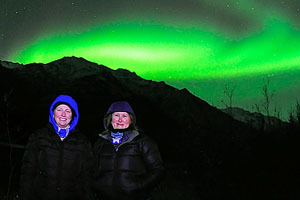 Many factors do affect our ability to see the Northern Lights, however the location of Wiseman close to what scientists describe as the ‘maximum zone close to 67 degrees north’. 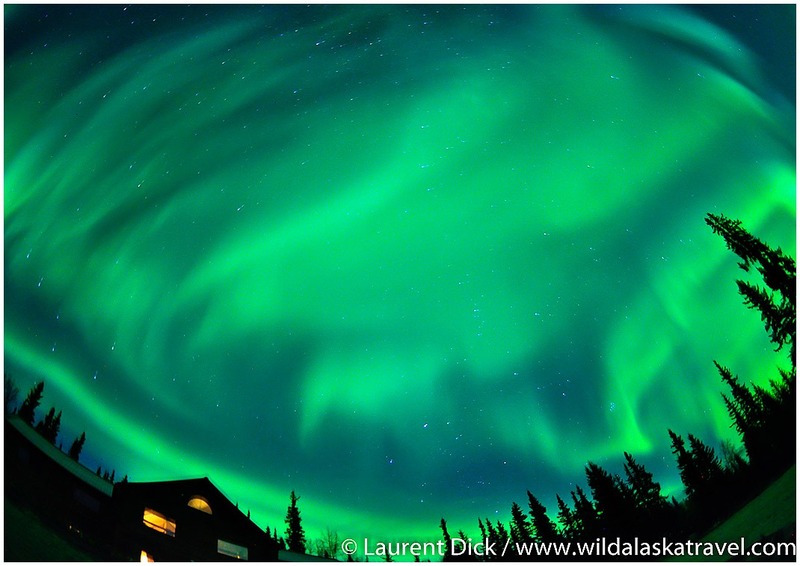 This makes Wiseman one of the best places in Alaska where you can see the aurora most often and with greatest intensity. 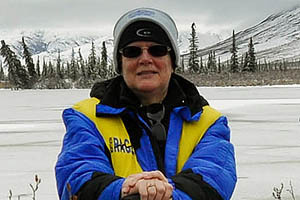 Today will go for a leisurely hike in the Koyukuk River Valley and enjoy the peace and serenity of the Brooks Range. Some of you may decide to just want to spend the day exploring on your own, at your own pace. 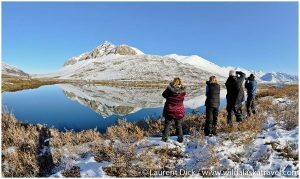 We may also do some roadside photography along some of the ponds and lakes, looking for moose and other wildlife. At night, we will keep our eyes peeled to the sky to see the northern lights, weather permitting. Because there is no light pollution here in Wiseman, you can literally just step outside your cabin to see the northern lights. 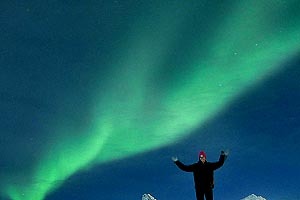 However, we often venture a little further to capture different views of the aurora borealis. You will be heading south this morning, across the Brooks Range and back into the Boreal Forest of Interior Alaska. Driving the Dalton is always an adventure. 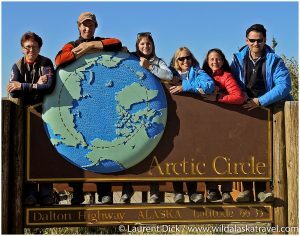 Frommer’s Guide described the Dalton Highway as follows: “The experience of the Dalton Highway for a traveler is so far beyond the ordinary as to require a whole new frame of reference to take it all in. The road is so very long, so remote and free of traffic, and the scenery is so mind-boggling in its grandeur and repetition, that after a time it feels like you’re living in a dream. At some point, you have to swallow and say to yourself, “I guess I didn’t know that much about the world after all.” Your destination for the night is A Taste of Alaska Lodge, a gorgeous B&B along Chena Hot Springs Road. 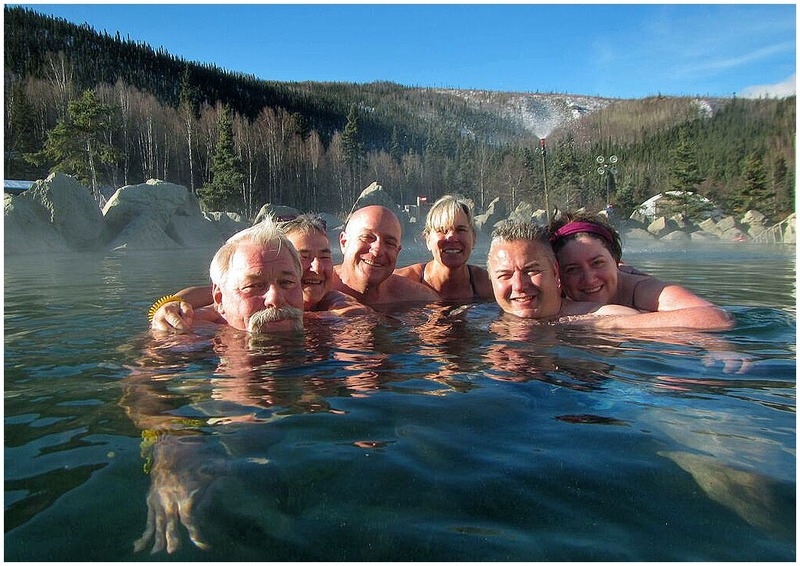 Today your destination is the Chena Hot Springs Resort, internationally known for its natural mineral hot springs and its Aurora Ice Museum, which we will visit first. This facility is kept at a constant 28 degrees F and is operational year round with the same geothermal energy that keeps the resort open for business. 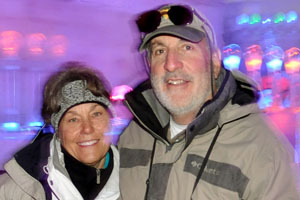 The museum features a gallery and ice bar, overhead chandeliers made of individually carved ice crystals which change color every six seconds mimicking the northern lights, countless sculptures including a gigantic chess set, life sized jousting knights, an ice fireplace and four galleries with varying themes. and prime location for viewing the Northern Lights (Aurora Borealis). After lunch, you will appreciate soaking your tried bodies in the legendary healing mineral waters. Not only is this a place where you can enjoy a dip in a natural hot tub (the hot springs source is 165 degrees F), but the resort itself is an excellent example of geothermal energy and sustainable design. The entire resort is powered by the utilization of the 165 degrees hot springs ground water, which flows to a heat exchanger to develop the heating system loop and transformed to electrical power for lighting and power at the resort. There is also a green house where the fruits and vegetables used at the restaurant are grown. You will be heading back to Fairbanks in the afternoon, drop your bags at your hotel before enjoying your farewell dinner at the Pump House Restaurant, which offers one of the best dining experiences in Fairbanks. Weather permitting, we will try to catch one last glimpse of the northern lights during your last night of the tour. In the morning, you bid farewell to Alaska and each other. 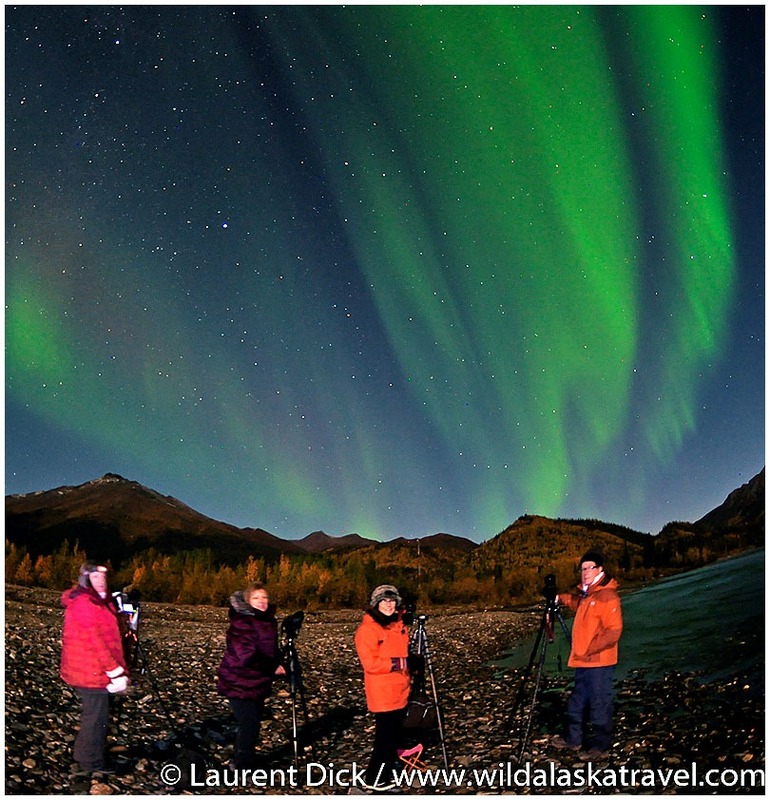 You will return home from your Alaska Polar Bear and Northern Lights Tour with a wealth of images and stories and new friendships. And you will have gained a better appreciation for a unique part of Alaska and its majestic wildlife that very few people will ever encounter. 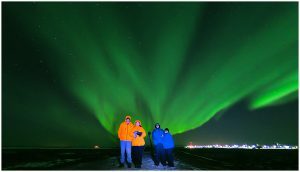 “I always wanted to see the Northern Lights but this trip also included Polar Bears in their natural habitat. What a bonus! Laurent was attentive and knowledgeable. The trip was exactly what I expected. Traveling through Alaska, the way the trip was advertised, you will not get 5 star hotels, so don’t expect that. 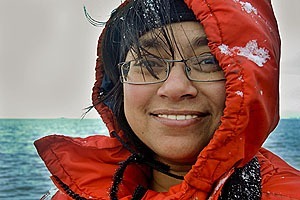 But you will experience the real life of those wonderful people that live in the very extreme northern Alaska. **We only require a $500 deposit per person to hold your space. Once you have submitted your reservation form and we have confirmed your reservation, we will send you instructions on how to make your deposit payment by check or credit card via Paypal.